NEW LISTING in BURKE MOUNTAIN!! 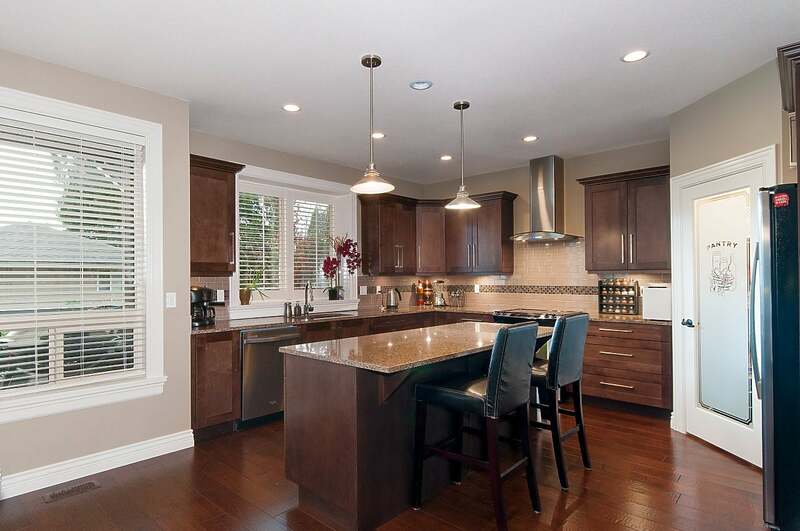 IMMACULATE MOSCONE SIX BEDROOM HOME IN A QUIET CUL-DE-SAC! This gorgeous home offers a huge private lot (7622 sqft) with a gazebo and a hot tub! As you enter there's an elegant formal Living Room and Dining Room and the main level boasts beautiful hardwood floors. Enjoy entertaining in your Great Room with vaulted ceiling, a stone-decked feature wall and a cozy gas fireplace. There's an open plan Eating Area and huge entertainer's Kitchen, which offers beautiful Maple cabinets, granite counter tops, a huge island, a walk-in Pantry, Stainless Steel appliances, and a subway and mosaic-tiled backsplash. From here, walk out to your impressive deck (32 x 10ft) and watch the little ones below in the landscaped garden. Upstairs are four Bedrooms, including a gorgeous Master with a vaulted ceiling, a huge walk-in closet and an ensuite with a walk-in shower and soaker tub. The Basement features a one bedroom suite, with above ground access, and laminate flooring. There's also an additional bedroom and den, which could be used by the main house or incorporated into the suite. Outside is amazing with a large grassy play area, a covered gazebo and a patio area, perfect for entertaining! THIS HOME HAS IT ALL! !